Blah blah blah, sold the CRX for healthy price, bought me some RWD goodness. *** jokes aside, cosmetically it's in fantastic shape, and only has a few mechanical issues. Beyond that, it's just replacing the CRX as a fun to drive, but fuel efficient DD. The CRX just wasn't going to be reliable enough, or easy enough to find parts for in a hurry, as I found out. The car is a hoot to drive, much more capable than the CRX. Unfortunatly, with bad shocks it's absolutly terrifying to take a corner at high speeds! Just wants to get loose over bumps. So for now it's a matter of basic maintenance before any real changes. Last edited by texan_idiot25; 09-02-2010 at 11:32 PM.. I am carrying this over from the other thread, fits better here. If you are doing that panel black, do the trunk and hood aswell. 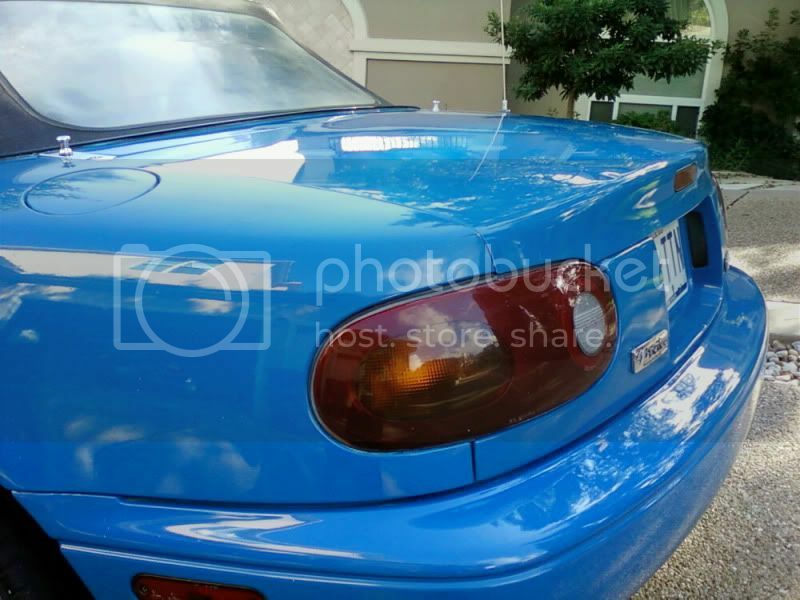 I like blacked out between headlights on a lot of cars, but the bodylines of the miata don't match the lines of the headlights, so it kinda has that junkyard pieced together vibe. Still not as cool as this miata. I don't like the faux carbon fiber wannabe look of black trunks and hoods. Accents are one thing, looking like **** on purpose with late model cars IMO is just stupid. Like Hellaflushtards with rusted hoods. Rat-Miata is one of a kind! To me it's a two tone that uses bodylines, I like it in other colors aswell, but I can see the misinterpretation of faux carbon fiber. Nah, if you used a coupe body or something there's no worry about fitment. LSx and oldschool 5.0s fit just fine in the Miata body. I'm not a fan of two-tones along panel gaps, but that's just me. Why does Mazda have a thing for makin there cars smile? I love that shade of blue. Goes nice o. That car. The Miata is not unlike John Mayer, who sells pop to play the blues. And by that I mean he uses his top 40 songs to make money and stay relevent, but his real music is deeply rooted in blues, and he's very talented at it. 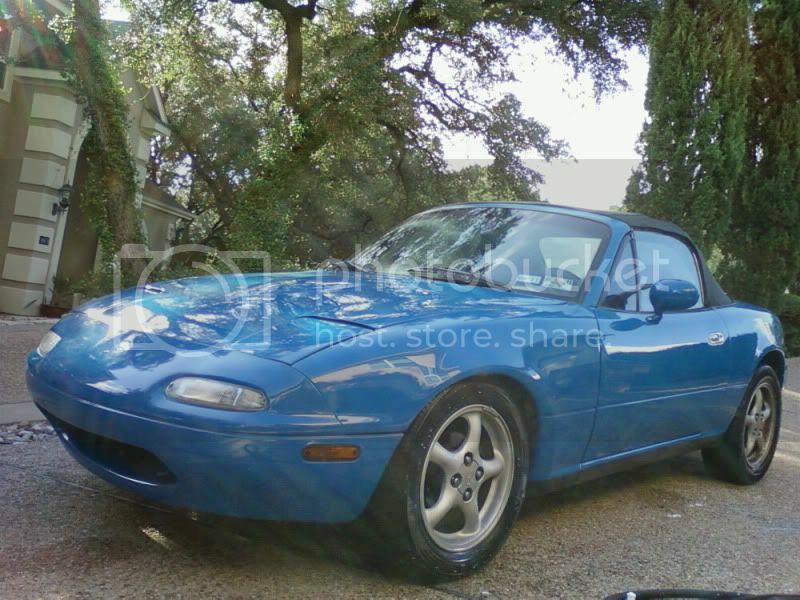 The Miata is cute, it sells very well to everyone with a fairly conservative image and good styling. Behind it's cute image is a chassis and engine deeply rooted in sports cars. It's high revving 1.6 loves to be revved out, quick and notchy 5 speed, fully independent suspension, RWD and lightweight make it a very solid platform for a track car. And because it sold so well, parts are everywhere for this car. It sells cute in order to play on the race track. Last edited by texan_idiot25; 09-03-2010 at 09:50 PM.. I've got a question tex, this is your SECOND tuner....so are you switching to the darkside.... High revving 4 cylinders in lightweight chassis....japanese manufacturing... Have you purchased your first....type R sticker? The CRX was not a high revving car, it wasn't even safe to take the HF motor up to 6 grand (redline at 5k if I recall right), and quit making power at 4,000. I will say the CRX moved me into small, good handling cars. However, there's nothing like that V8 rumble and torque-everywhere feeling of the CST10 and other V8 cars. 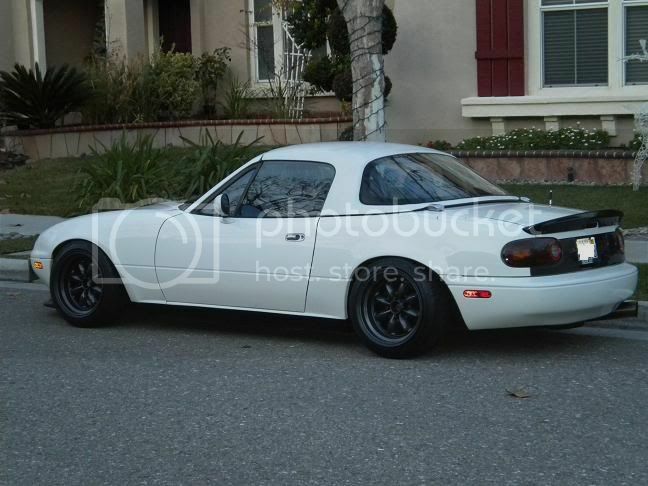 I don't like this Miata engine that much, it's gutless and makes what little power it does up high. The 1.8 is A LOT healthier in the mid range, and if I have a chance I'd probably throw it in. But back to Jap cars, for something as a DD, the fun small car is a pretty fool proof choice, as long as you stick with right older Jap models. 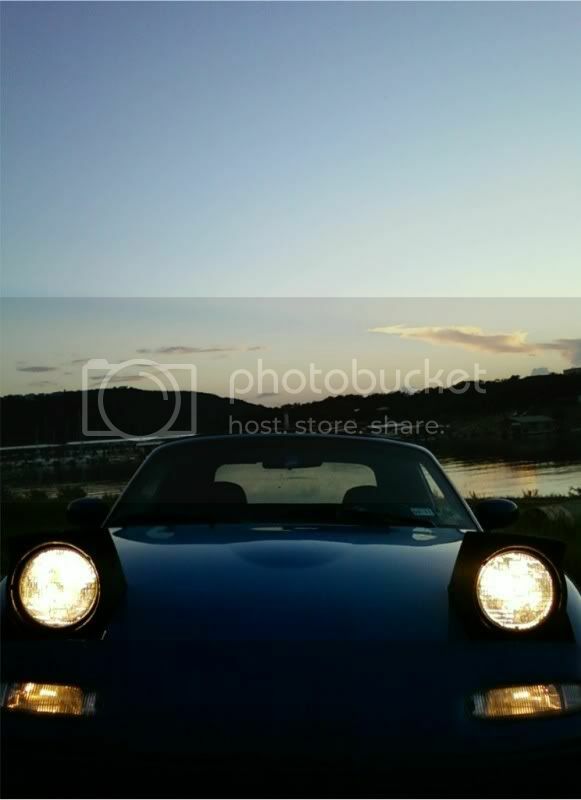 Had the CRX not been such a good car, I wouldn't have this view. 90s Hondas are trash in comparison (****ty manuals, piguglyundersteering, "heavy"), other Euro models that made it here are even more terrible, America never could build a good compact back then, and anything else from Korea is a piece of ****. The 1st generation CRX defined what a FWD compact should be. 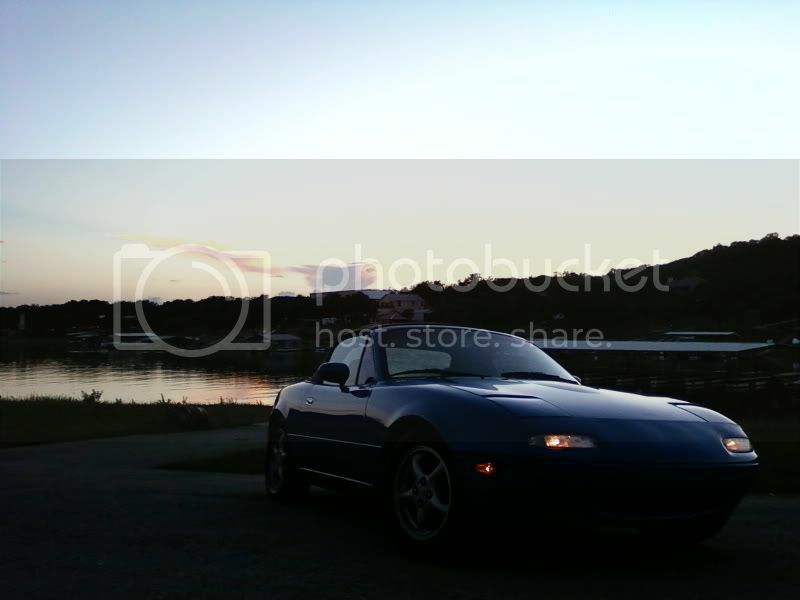 IMO, I haven't driven a newer small car (besides the purpose built Miata) that can live up to it. I generally hate every other late model Jap car since. Oh, and the count is 3 American cars, and 2 Jap cars. Last edited by texan_idiot25; 09-03-2010 at 10:27 PM.. I was going to do the check next weekend, it's a good bit of work to tear down the front of the motor, and I wanted to do it at my dad's work in Houston. Bolt loosened today, but the car was also running poorly yesterday too. You're supposed to need a breaker bar to get the bolt out... I didn't even have to try hard with a ratchet... Bolt had some broken threads too. The crank ain't too bad, I'll be able to easily repair it. And, once the cams get back in time with the crank, this sucker is going to be A LOT more fun to drive. Also, I missed working on a RWD car, so much easier to work on than the CRX! Last edited by texan_idiot25; 09-10-2010 at 01:49 AM..
FEEXED. RWD shenanigans are afoot now, with everything back in order it's running much stronger than before. One of the problems with the crank nose failure is that the cams get out of time, like a slipped timing belt. This kills low RPM performance. Last edited by texan_idiot25; 09-14-2010 at 06:22 PM..
Buffed the car out, came out nice. Despite it's problems, mainly the bad shocks and bad lower control arm bushings (found one of the alignment bolts completly loose, raped the bushing in the process), the car is a blast at high speeds here. The 1.6 loves to be revved out, happily singing up to 7,000 rpm. It's a torqueless wonder below 3-4000 rpm, but traffic practice of heel-toeing has helped getting it down the gears in order to scratch out of turns and up some of these massive hills. The car has ****ty no-name brand tires up front (suicide in the rain) and torn up bridge stones in back, yet it's still neutal and predictable. Roll on the throttle exiting a corner, and the rear end bites down, the car starts to rotate a bit, and it runs out of the corner at full speed. It's much lovelier than the CRX, which ran out of power past 4,000 rpm and would get mild understeer if you throttled it too early. I maaaaay flip this car to get one that's a bit more solid though... Too many small things wrong about this car, namely little maintenance **** that's been neglected or done wrong. The trans is tired too, it's unhappy to do any quick shifting and the RPMs have to be fairly revmatched for the next gear. If I can get this gone for asking price, I have my eyes set on a much nicer '90 with a hard top and a fresh motor. But for now, the little car has redeemed itself. 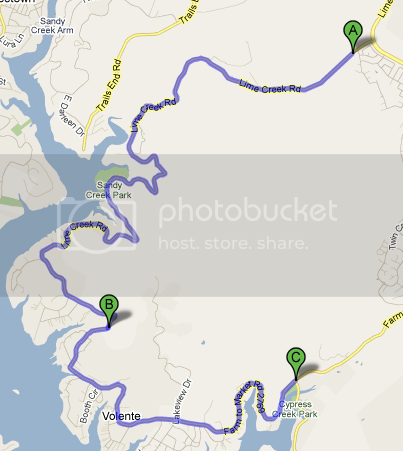 Plus, fighting BMWs on these roads is a blast. here is where your wrong. please go find a cheap bmw e30 325. any model of 325, weather it be the E, I, IS or the best being awd IX and you will quickly retract this statement. and yes id classify the e30 to be a sort of compact car. its under 2700lbs. weighing in at 2684 for a 1984 325e. also with the E cars, battery is already moved to the rear of the car. 318's all had theirs in the engine bay. i second this, maybe not the 325E ("E" is for economical) which came with a smaller engine and higher gear ratio. So how about those 1990 Benzs with biodegradable wiring insulation? How about those VWs with hilarious electrical problems and pain in the *** service? How about those later 90s BMWs, same electrical gremlins? How about the onslaught of failed attempts by BL? Remember Stirling? Just about any attempt by the UK in the US failed miserably by the 90s. Take a look at Monsterhunter's Audi for a prime example of what you can expect from them. LATE 80s BMWs (post head cracking era), W123 (some W124) diesels are just about the only good models we got, in the long run. But, in the case of the BMWs, have fun paying for obscure EFI parts later on. The E30 was a consideration when looking around, but 80s EFI is a ***** and one reason why I went with the Miata. Good cars, but not as reliable or as easy to get parts for than a newer model car that sold in MUCH higher numbers. Yes, the general crop of euro cars from the 80s and 90s are pretty terrible by now. Get over the fanboism. This is not the hunt for the coolest car I can buy, regardless of running costs or reliability, this is for something that's a cheap and simple, reliable daily driver. Last edited by texan_idiot25; 10-02-2010 at 10:19 PM..
have fun paying for obscure EFI parts later on. I don't speak of specialty places. Can I walk into a Vatozone in a random town and expect to find a good bit of basic parts with little issue? In the case of the Mazda, yes. That engine and it's variants were used for all of the 90s in many models. Millions of cars with the little Mazda 4 banger.